Creative Media Recording in Cypress California. Audio Recording & Sound Design in Orange County. 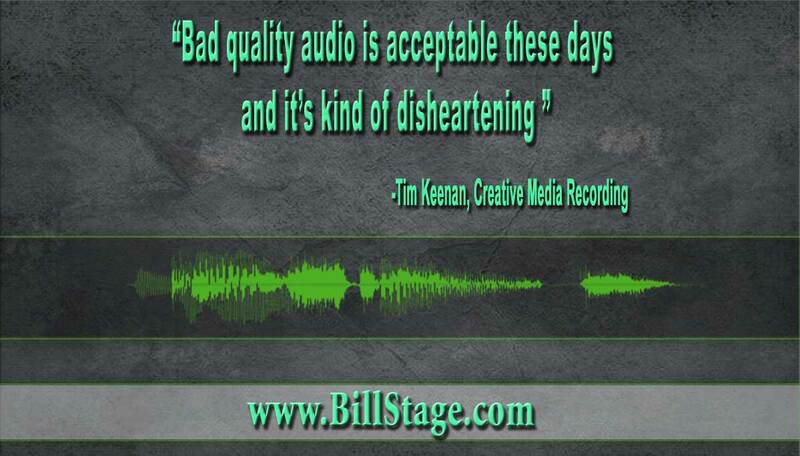 Tim Keenan has an ear for audio quality and is the 3rd owner of the full-service recording studio of which, he started off as an employee of. 70% of the recording they do is the non-broadcast corporate type projects like eLearning. And 30% is commercial recordings for TV & radio. 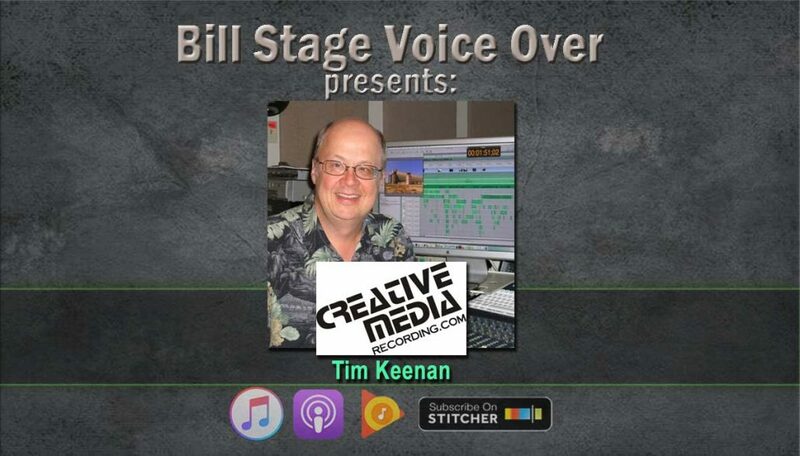 I talked to Tim about how he goes about marketing Creative Media Recording. They’ve tried yellow pages and pay per click online ads but he says the best type of advertising is word of mouth. And he does that by networking. Tim’s got a very interesting Twitter feed…actually 2. He doesn’t spout off about politics and opinion pieces…or vinegar…instead he give shares information his target audience would enjoy reading about. Thus the dead squirrel quote at the beginning of the show. He really knows his audience. Then we talked about his staff. He’s got 2 studios that share 1 booth. Over the years, they’ve downscaled and are now using a couple freelance engineers and tap into their pool of VO clients all over the country. 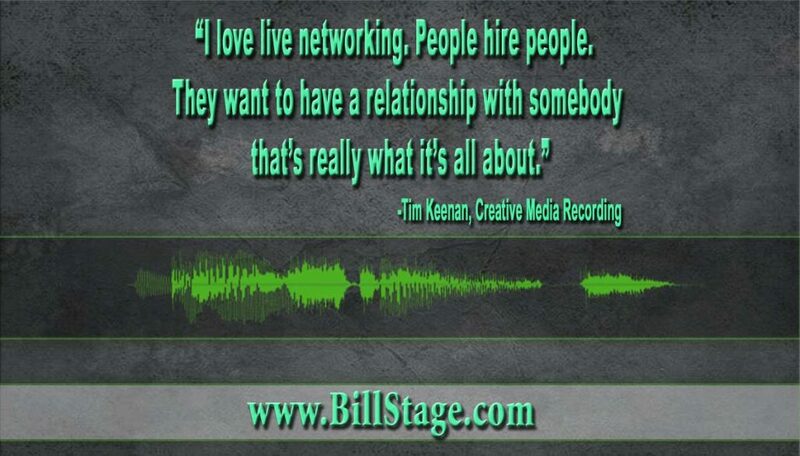 As a voice-over guy, I am always interested in what gets the attention of people like Tim. He talks about this being a face paced business. 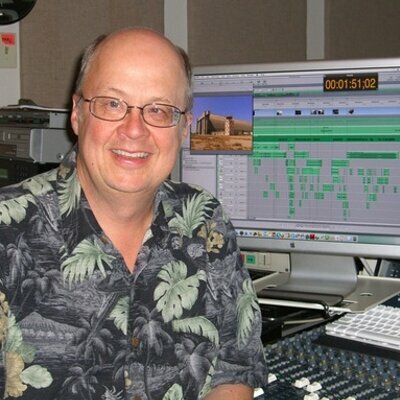 If he can’t find the voice over demos on the website within 1 click…he might move on. Not everyone in this space is a “tech geek”…but he does have a favorite piece of equipment. The iZotope RX helps reduce room echo. It’s hum reduction, its noise reduction. He does a lot of sweetening audio in post-production, so the iZotope RX is perfect for that kind of work. What’s his pain point? He LOVES audio. The diminished appreciation of audio quality is something he called The Youtube-isation. So, even though there’s plenty of good quality software and hardware for a decent price…the file then gets compressed to unnecessary lengths. One particular project he’s proud of is a documentary on his homepage, ww2 blimp hangars they did all the audio wall to wall for the project. What separates CMR from the competition? His niche, he’s a production coordinator, so he gets hired to provide clients consistent quality. So, whether they’re hiring VO’s from the midwest, Nashville, or anywhere around the country…he’ll vet the studio and the sound. He’ll make sure it sounds as if it was recorded at CMR. Plus, they’ve got a vast pool of VO’s that specialize in many things. So, if there’s a medical script, they know an RN that also does voice over. Creative Media Recording also does VO demos and complete foreign language conversion for projects. In fact, their biggest commercial client does English and Spanish versions of the same spot. So, while I wasn’t able to post this podcast beforehand, Tim was a part of the VO Atlanta 2018. He was part of a panel for e-learning/corporate narration with Christi Bowen and Anne Ganguzza. He planned to talk about e-learning from the client side. Especially since he’s had so many different types of clients (insurance, medical) and so many types of VO (e-learning, IVR, audiobooks). He seems to like that every day is something different. I asked him about living in Orange County, California if they’ve had any brushes with fame. He said thanks to his SEO he’s been found by NPR for projects. Plus Guy Fieri recorded a bunch of VO for Diners, Drive-Ins & Dives. But the biggest is back in the 90’s when his studio cat got featured on Pets in the Workplace, on CNN. 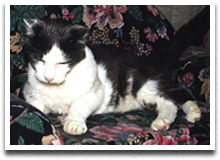 Sam the cat when viral before there were viral videos. And if ANYONE has that footage, please send it this way!